As apart of my research i researched some photographers that have taken photos of the Humber Bridge before and this one guy standed out in my searches and he is the Humber Bridges main photographer and his name is David Lee. He’s taken some great pictures of the Humber Bridge but you expect from a professional like he is, so i decided before i take any pictures i would have a look at his and then try and work out new angles that i can show the techniques what i have learnt in class and also get some great quality shots. I cant show you know pictures on here because he has disabled his website from copying which is notable dew to his great photos. But they are some great photos like where he’s staring up at the one of the pillars with a blue sky behind it, which i tried to resemble in my portfolio and also the own where he’s underneath the bridge from the Barton Upon Humber side because he’s from Barton, i resemble this as the one where im shooting from underneath the bridge. This was the only photographer i could find who did a portfolio on Humber Bridge. As you can see on the right i have a little slideshow widget that will show you three photos from my final assignment on Flickr. But in this post i just want to talk about various shots and why i took them and what i could and couldn’t do and some problems i had when doing this project. So at the start i tried to get a Cannon 40D out of the stores but they was like stardust, so i went for my first shooting with a powershot camera to try and get some good shots out of this camera even thought i have never used this camera and only been using the Cannon 40D in class i didn’t know the problem that with the powershot its real hard to get depth of field working and it wasn’t just me Danny took a powershot it aswell and he found it quite hard getting depth of field working. I did get some good photos with it though, theirs one where im looking underneath the bridge and its getting small as its expanding, i thinks this is one of my best shots. Their was also the shot i took of the closest pillar to Hull which was just looking at me on foreshore so i decided to take a photo of it because the project is about the Humber Bridge and the more photos i get of it then it will explain my project. So i upload them pictures to my blog and described what happened on that day. So the following week instead of just turning up and wanting a camera me and Danny booked out a Cannon 40D camera and then i took a trek to Humber Bridge on that knowing full well i know how to use depth of field and i only needed space between my object and the object in the background which would be the Humber Bridge or if im on the Humber Bridge it would be the things off it. So i decided to get some shots of Humber Bridge on Hessle Foreshore of the a tree and a bench with the bridge in the background which i tried with the powershot but i didn’t work, and i also attempted a leading lines shot where the object leads it in to the background and i hopefully got that when i took the photo of the railing on Hessle Foreshore going out onto the pebbles. Then i decided ill take some photos off the Humber Bridge and that’s what i did and i think the best photo i got from on the Humber Bridge was the one where im looking up at one of the pillars and its getting smaller when its going into the distance with expanding cables going off at each side, i think that’s what resemble Humber Bridge its an suspension bridge. I also got various ones looking over the Humber Bridge which is quite hard for me because im a little scared of heights but i got some great ones of the River Humber and looking over on the Dual Carriageway with using depth of field. Something what i could of got better was my location, in my research etc i said i was going to take some pictures from Barton Upon Humber side but i wasn’t going to walk all the way over the bridge and back cause it was raining so i was going to drive but i had a look on Google Maps and i didn’t know how to get their so i just gave up on doing that shooting, which is bad of me because i set out to take some photos of that side of the River Humber but failed, so that something i could of done better. Hopefully this documentation along with all my other posts and about this Project is another because i think i have taken some great photos from barely knowing how to use a SLR at the start of this course. 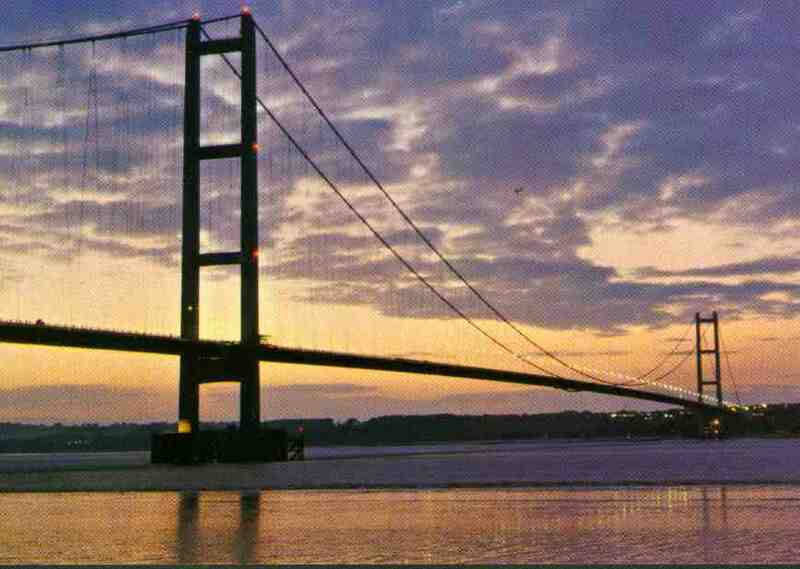 I have decided that after our tutorials last week i am going to stick with the Humber Bridge project because it symbolizes Hull, and used to be the largest expansion bridge in the world. When i talked to you, you said that various people have done the Humber Bridge project before but have only taken shots from this side of the River Humber. But this is where i come to a great advantage i can drive so it would be with no problem for me to go to Barton and take shots from that side. Also you said instead of just taking different angles of the bridge why don’t you actually stand on the bridge and take shots off it which i will show in various photos in my portfolio. Planning and research to Follow !